Which iPhones Support the Activation Lock Feature? Considering how expensive iPhones are, to protect consumers from theft, Apple decided to include the “Activation Lock” feature with iOS 7. That means that any device running iOS 7 or later has the Activation lock feature. What is iPhone Activation lock exactly? The user signs in to their Apple ID email address and turns on the feature calledFind my iPhone under settings -> iCloud. Now if the person loses their iPhone they can track it using the Find My iPhone feature on Apple's website. This can't be turned off without the Apple email ID and password. Also if the screen is locked, it can't be reset without this info. Additionally, If you try to restore the iPhone in iTunes, you will still need the email and password again. This prevents people from re-activating a phone that does not belong to them. The Problem is if someone gets hacked and loses their password and other info, or if they buy or find a used iPhone that is activation locked now this phone becomes basically useless unless they can bypass it. You could have avoided all the problems that come with getting stuck with an iCloud locked phone by simply making sure you have turned this option OFF when selling your iPhone and also making sure it is OFF when buying a second hand iPhone. croll down and tap Sign Out. Now let's imagine the seller genuinely forgot to sign out of iCloud and you forgot to check. Now you can't use the iPhone you bought and the seller is unresponsive to your messages. With the IMEI number you can also check the database using our IMEI CHECKER service to see if Find My iPhone feature is turned OFF or not. If it's on, that leaves you with only a few options. Screen Prompts: If you can access some features of the iPhone, it is possible the previous owner had left a message with their phone number to contact them. Bypass the iCloud Lock: if you end up buying an iOS device with the iCloud lock on and can’t contact the original owner of the device, you will have no other option but to pay to remove the Activation lock from the device. It will require you to wait several days [up to several weeks, sometimes] and also spend some serious money. There are many websites that claim to successfully fix Activation Locked phones however a majority of them are scams [really]. They will take your money and say that the phone was reported stolen and then show you their websites fine print that you are not eligible for a refund from them. Word of caution, read the fine print carefully when dealing with such companies. I can't mention there names here but they have the words imei and iphone or official in their website address. They have paid posts on blogs all over the internet [and come up first on Google], it's a shame that it's so hard to get genuine reviews with integrity from "sponsored bloggers" these days. Sometimes you can find some accurate feedback about a company on Reddit. That's where I read about iCloud removal Scams . 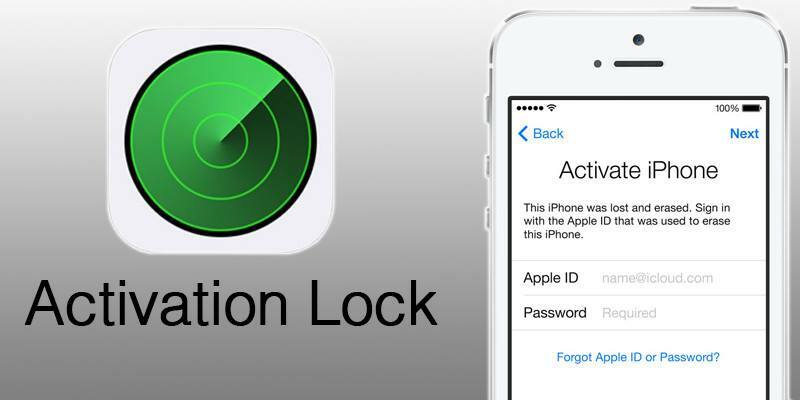 When it comes to removing Activation Lock from an iOS device, you shouldn’t trust everyone. Anyone claiming to be able to do it for only $20 or even $40 is almost definitely a scam. We are paying our trustworthy suppliers up to one or two hundred dollars to get it removed. If it was so cheap then we would buy the $20 service too and maybe resell it for $25, but unfortunately their services are just scams. Being reported as blacklisted or not blacklisted (clean) is not the same thing as iCloud Lost or Clean. The blacklist status has to do with your carrier. If you report the phone as lost to the carrier then it will be on the national blacklist and no other carrier will allow it on their network. Whereas iCloud Lost or Clean has nothing to do with your carrier. This status means it was reported to Apple as lost and in the iCloud account it is marked as lost. They are 2 different things. If you want to remove the iCloud account some services require the phone not to be reported lost in iCloud. How to find out? You will need to call Apple and ask them directly, If you want to avoid this then you can order our fifty cent service called "Apple iPhone - iCloud clean/lost check." We can tell you within a few seconds or a couple minutes whether it is iCloud lost or Clean. Remember: Erase the iPhone and leave it in RECOVERY mode (you can power it OFF) until you get the message from us that we have successfully removed the iCloud account (FMI = OFF) , then only RESTORE the iPhone as a NEW PHONE. DO NOT RESTORE from a backup! When you see the option to Restore or Update, unplug your iPhone and leave it like this until the iCloud account has been removed by us. (in the meantime you can power it off). DO NOT SET UP YOUR DEVICE UNTIL WE HAVE CONTACTED YOU THAT WE HAVE REMOVED THE ICLOUD ACCOUNT SUCCESSFULLY. With your order please uploaded a photo of the activation lock screen on our Facebook page here OR send it by email to us at info at canada unlocking dot com. Our Apple iPhone Activation Lock removal Service is the best and most straight forward solution available on the internet. All you need to do is select the carrier that your iPhone is locked to presently (from the drop down menu), and then enter your IMEI Number.